The filmmaker Angela Zumpe studied at NYU in 1981 and shared an apartment with Madison Smartt Bell, an upcoming writer. Thirty years later, she returns to New York. It is a trip in the past. 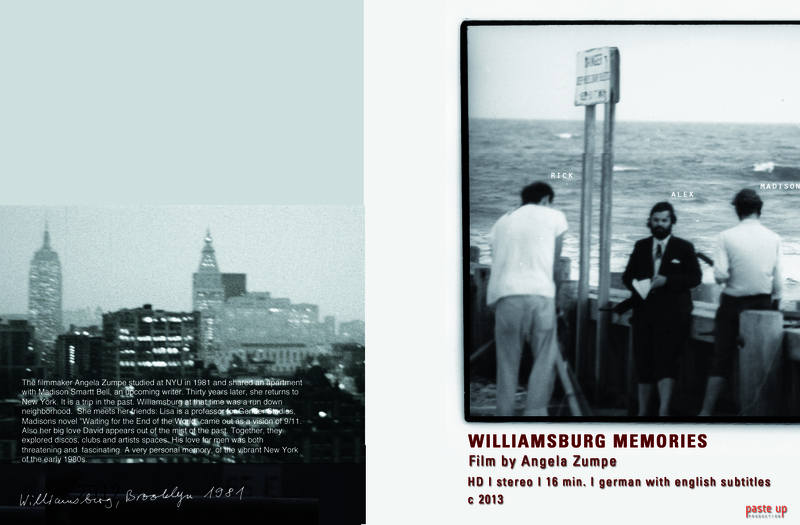 Williamsburg at that time was a run down neighborhood. She meets her friends: Lisa is a professor for Gender Studies, Madisons novel „Waiting for the End of the World“ came out as a vision of 9/11. Also her big love David appears out of the mist of the past. Together, they explored discos, clubs and artists spaces. His love for men was both threatening and fascinating. A very personal memory, of the vibrant New York of the early 1980s.